Epilepsy has afflicted humankind throughout recorded history; yet, it is only in the last half-century, that significant progress has been made in our basic understanding of the epileptic brain. Pivotal advances in drug development and surgical techniques, as well as the emergence of innovative approaches such as electrical stimulation of the nervous system, have led to a substantial reduction in the morbidity and mortality of patients with epilepsy. At the same time, remarkable developments in neuroscience have enhanced our understanding of brain structure and function. Provides a glimpse of what future epilepsy therapies might look like, from novel mechanisms of drug delivery to gene and stem-cell therapies for epilepsy to seizure detection methods, to the ultimate goal of disease prevention. 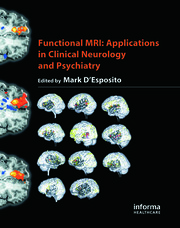 The idea for this book was inspired by the editors’ collective desire to promote bridging of the so-called translational divide—that is, covering innovative treatment strategies based on scientific principles that have yet to be tested rigorously in the clinical setting, but yet may provide practitioners with new and promising approaches toward epilepsy therapeutics. Jong M. Rho, MD, is a senior staff scientist at the Barrow Neurological Institute and St. Joseph’s Hospital & Medical Center in Phoenix, Arizona. After obtaining an undergraduate degree in molecular biophysics and biochemistry at Yale University, Dr. Rho received his medical degree from the University of Cincinnati. Following a pediatric residency at the University of Southern California Children’s Hospital of Los Angeles and a neurology residency at the University of California, Los Angeles (UCLA), School of Medicine, he completed fellowships in pediatric neurology at the UCLA School of Medicine and in neuropharmacology at the National Institutes of Health (NIH). Dr. Rho’s main research interests are the mechanisms underlying the anticonvulsant and neuroprotective effects of the ketogenic diet, neuropharmacology of anticonvulsant compounds, and the study of surgically respected human epileptic tissue. His research activities have been sponsored by several NIH research grants, as well as a variety of intramural and extramural public and private sector sources. Dr. Rho has served on the editorial boards of Epilepsia and Epilepsy Currents and has been a regular reviewer for research grants submitted to the NIH. In addition to an extensive list of publications in basic science and pediatric neurology peer-reviewed journals, Dr. Rho has written numerous book chapters and edited several books and is a popular national and international guest lecturer. Raman Sankar, MD, PhD, is a professor of neurology and pediatrics and chief of pediatric neurology at the David Geffen School of Medicine at UCLA. He holds the Rubin Brown Distinguished Chair in Pediatric Neurology. Dr. Sankar obtained his doctorate from the University of Washington in medicinal chemistry and was involved in teaching and research for several years prior to entering Tulane Medical School, where he obtained his medical degree. He trained in pediatrics at the Children’s Hospital of Los Angeles and completed his training in neurology and pediatric neurology at UCLA. His laboratory research pertains to mechanisms of seizure-induced injury and epileptogenicity in the developing brain and is funded by the National Institute of Neurological Disorders and Stroke (NINDS), National Institutes of Health (NIH). Current research includes investigations on improving the throughput for screening compounds for antiepileptogenic action on the developing brain and modeling the comorbidity of depression that accompanies epileptogenesis. He is one of the investigators in a NINDS-sponsored multicenter study on childhood absence epilepsy. Dr. Sankar is a reviewer for research grants submitted to the NIH, Epilepsy Foundation, CURE, American Epilepsy Society, and other organizations. He is a member of an active pediatric epilepsy program at UCLA that is well known internationally for many advances in pediatric epilepsy surgery. Dr. Sankar has authored more than 160 research articles, reviews, and book chapters and has served on the editorial boards of Epilepsia and Epilepsy Currents. Dr. Sankar serves on the professional advisory board of the Epilepsy Foundation. He is a member of the Commission on Neurobiology of the International League Against Epilepsy. Carl E. Stafstrom, MD, PhD, is a professor of neurology and pediatrics and chief of the division of pediatric neurology at the University of Wisconsin Medical School. He received his AB from the University of Pennsylvania, followed by his MD and PhD degrees (the latter in physiology and biophysics) from the University of Washington, Seattle. After completing a residency in pediatrics at the University of Washington Children’s Hospital, Dr. Stafstrom trained in adult and pediatric neurology at Tufts–New England Medical Center in Boston, followed by fellowships in neurology research, epilepsy, and clinical neurophysiology at Children’s Hospital, Harvard Medical School. Dr. Stafstrom’s main research interests are the pathophysiological mechanisms of epilepsy in the developing brain, the consequences of seizures on cognition and behavior, and alternative epilepsy therapies such as the ketogenic diet. Dr. Stafstrom is the author of more than 150 publications on epilepsy and its mechanisms. He served as chair of the scientific review committee of Partnership for Epilepsy Research and is on the scientific advisory boards of the Epilepsy Foundation and the Charlie Foundation. He is the former chair of the Investigators’ Workshop Committee of the American Epilepsy Society. Dr. Stafstrom is associate editor of the journals Epilepsy Currents and Epilepsia. He places a high priority on the education of medical students and residents and is the recipient of numerous teaching awards. 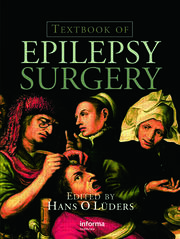 "In summary, I strongly congratulate the editors and authors for producing a book that accomplishes its task of refocusing epilepsy research on its primary directive, translation of scientific discoveries into interventions and methods that directly relate and promise to improve the quality of medical care our patients with seizures receive. 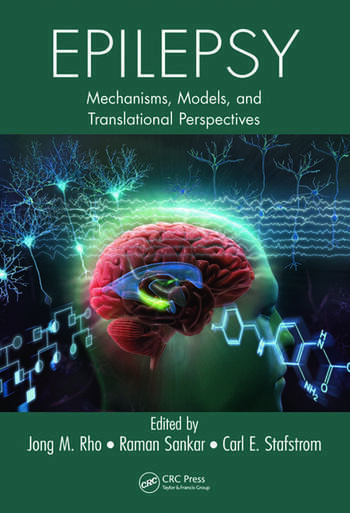 Although not exhaustive enough, it will be an invaluable primer for young investigators but also for more senior researchers who aim to create new bridges with aspects of epilepsy research that are more distant from their immediate focus." "… a much-needed textbook. It attempts to integrate data regarding the most relevant developments in research with those regarding clinical issues that have a direct effect on therapeutics. The book achieves this goal by reviewing current therapies and discussing new areas of research and treatment. 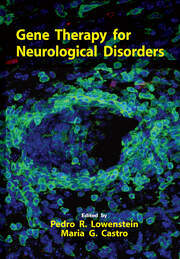 Much of what is discussed provides a good review for not only the epilepsy community but also for general neurologists. …Perhaps the most exciting discussion in the book concerns the future of epilepsy research and treatment. …Although such goals may have seemed far-reaching a decade ago, the findings and ideas presented here make the concept of antiepileptogenesis appear to be an attainable goal."